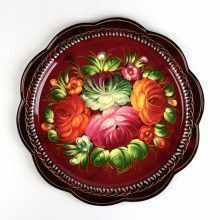 Beautiful little metal serving tray for hor dourves, snacks, etc.! 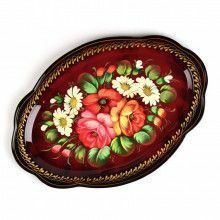 It has been over 200 years since the tradition of tray-making and Zhostovo painting started, and luckily for us, it still continues today. 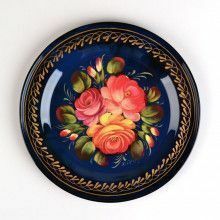 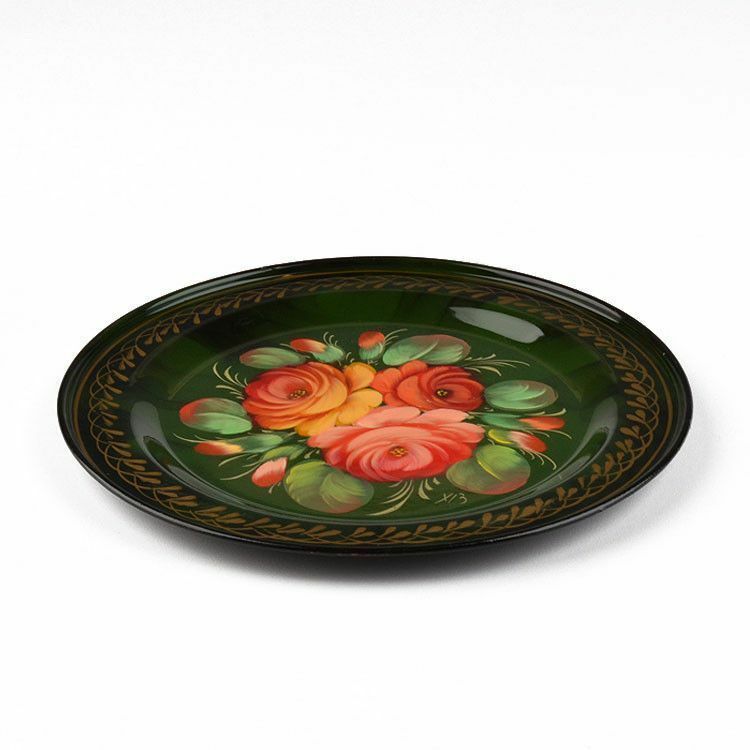 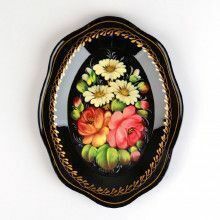 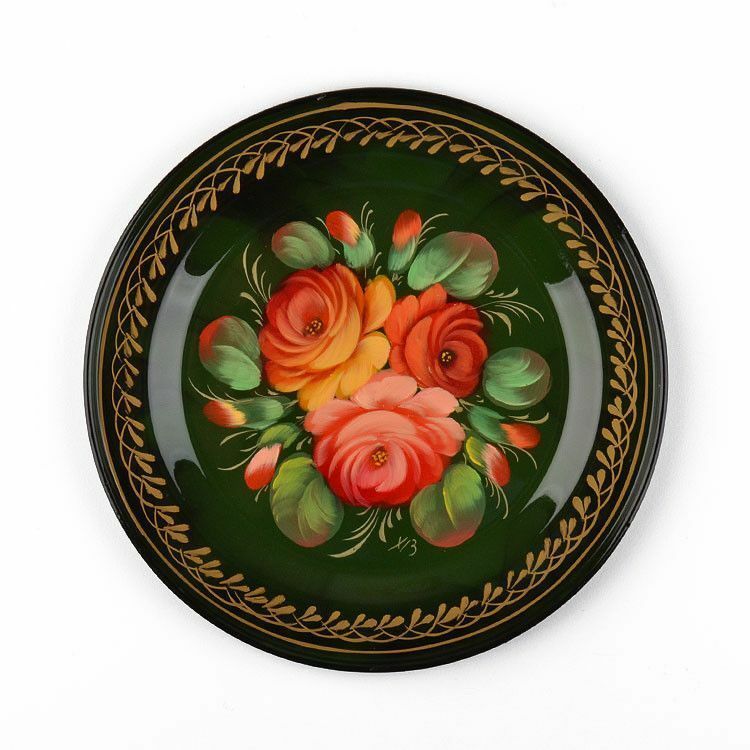 This 7 1/4" round tray features a lovely assortment of flowers in pink, red, and orange colors. 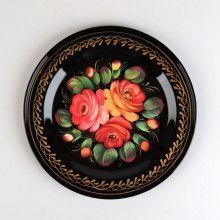 All of these trays are one-of-a-kind and the paintings cannot be precisely replicated, thus yours may vary ever so slightly from the one pictured here. 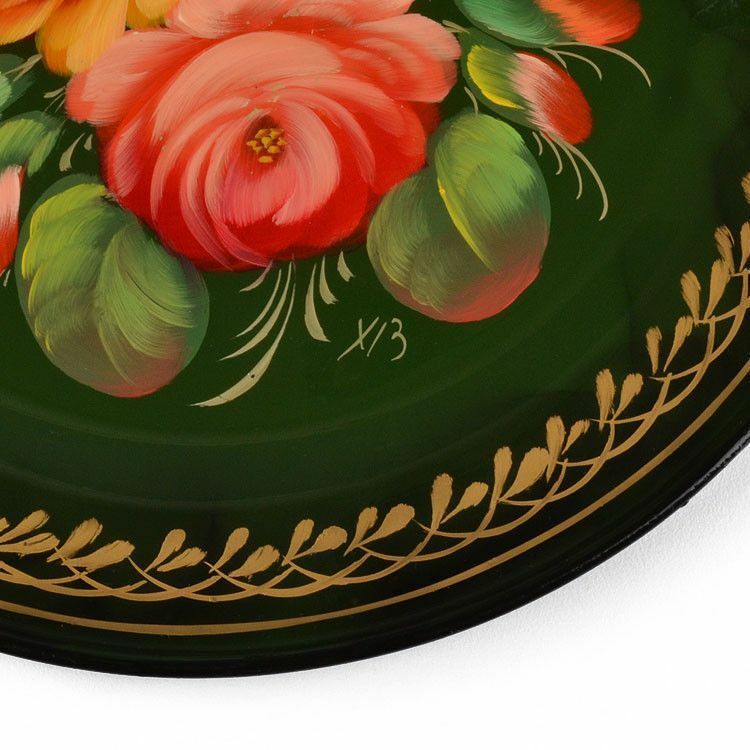 Each tray is initialed by the skilled artist.